The internet makes it easy to learn new skills. So it’s no surprise that many new skiers will head out to the mountain with little to no skills. They hit the slopes with zero intention of paying for an instructor to show them the ropes. When it comes to mountain safety, self-teaching is fine, so long as you can maintain control of your skis. 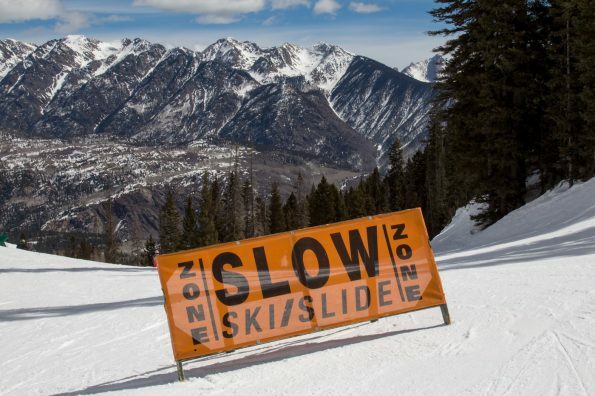 The first part of this is controlling your speed, so knowing how to stop on skis is essential. 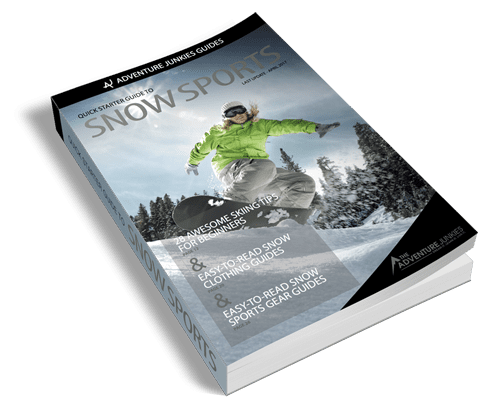 Our goal at The Adventure Junkies is to help you get started in snow sports. So if you are attempting to learn on your own, we are here to help! Whether alone or you wanting to learn at a faster pace than your teacher is providing. 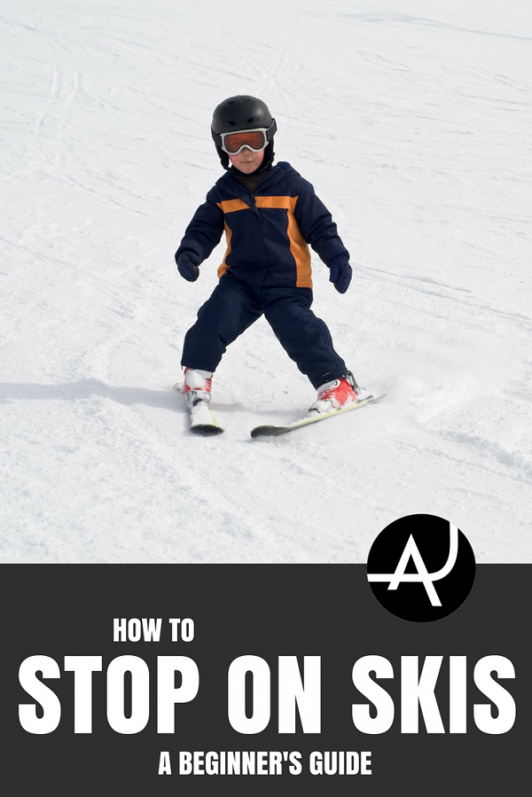 In this article, you’ll learn how to master a safe stop on skis. The first technique any beginner will learn is the snow plow. Think or your skis in the shape of a pizza slice on the snow, with the noses of the skis almost touching in front. The key word here is ‘almost’ touching. If the noses of your skis cross over (common for beginners), you will lose balance fast. And find yourself needing to practice those safe ski crashes sooner than anticipated! 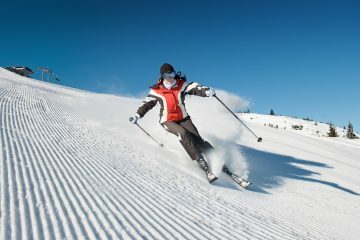 When in a snow plow position on the slope, the inside edge of your skis should be pressed into the snow by your ankles. This will keep you stationary on the slope as you prepare for the next step. As a skier, it always helps to think of yourself as a car. The next steps will explain how to set off and stop your new makeshift snow vehicle. To set off, you need to shift the weight on your skis. Move your ankles simultaneously to move the pressure on the inside edge of your skis to the center. This will leave your skis lying flat and you’ll begin to slide forwards at a natural pace. To ‘hit the breaks’ on your skis, you now need to apply the pressure on your inside edges. Be sure to again do this in a simultaneous action. Applying pressure more on one ski first will cause you to turn fast and lose balance. This is often referred to as “catching an edge”. The edge of your one ski becomes caught in the transition as the other continues. This in turn then sends the rider toppling over. Getting this correct will bring you to a gradual stop. Practice this snow plow stop again and again. Then in no time, you’ll be able to apply the pressure on and off your makeshift breaks and accelerators with ease. This will make you start and stop in a safe and controlled fashion. Resulting in no more falling practice required! Once you have learned how to move forwards on skis, it’s not uncommon for beginners to lose control of their speed. Often they are unable to lose enough speed to stop themselves without losing control. If you have learned how to turn on your skis, finishing each turn is an alternate way of stopping yourself. Regardless of whether it is a snow plow or parallel turn. The idea is to picture your turns as a series of C-Shapes on the slope. Advanced skiers will ski in an S-Shape as they continue downhill and maintain speed. But beginners can continue each turn as it turns slightly up the hill. Doing so will reduce your speed, and if you have enough room on the slope, it will gradually bring you to a stop. If you are short on room then as you are riding out your turn, you can adjust this method. Applying the snow plow stop from above is a great way to control your speed. This will reduce your speed and help to bring yourself to a halt. The parallel stop is also known as the ‘Hockey Stop’ . 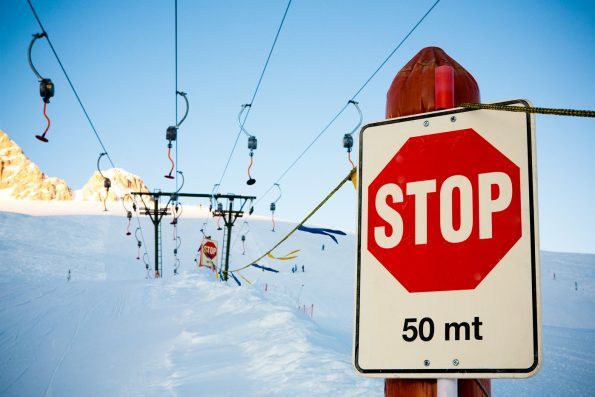 This is the most frequent used method of stopping on skis. It’s only achievable once you are able to ski parallel. Parallel skiing is when you have your skis side by side. Or if we were to go back to the fast food references – they will now look like two french fries and not a pizza slice. You must first decide when coming down the slope which direction you will stop in. For this example, I will explain the process as if I was turning onto my right downhill ski. As you perform a short turn to the right you’ll place all your body weight over your right ski now facing downhill. While beginning to do this, you should begin to extend your legs to stand, as if looking over a garden fence. This will flatten your skis and make turning far easier. The more weight you apply to your chosen downhill ski the better. As the quicker, your ski will find itself in the correct position (in this scenario the right). Allow your other ski to follow so your skis remain in a parallel position. The final step is to lean into the slope behind you to apply pressure on both of your ski edges. As you do this, be sure to bend your knees to keep balance. Do this while holding an upright torso and look downhill with your upper body following. This posture will work against your edges pressing into the snow, bringing you to a quick stop. All without continuing to slide to the side of the slope. The result will be a clean and precise stop. This is highly effective when on beginner slopes. Particularly as you find yourself needing to dodge out of control slope-side newbies. Beneath is a great tutorial from ‘Ski School By Elate Media’. It runs through the process of a hockey stop in a clear manner. Practice. Then practice some more. You will find each of the above guides will not only improve your balance, and your confidence on the slopes. You will safe with the knowledge and ability to execute emergency and gradual stops. It will be a skill you’ll always use throughout your days on skis. 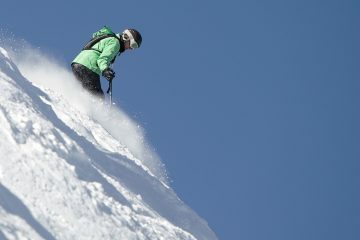 It is always best to learn these skills with either an experienced skier or an instructor. But for the days where your budget is a little tighter, you can still practice these tips. 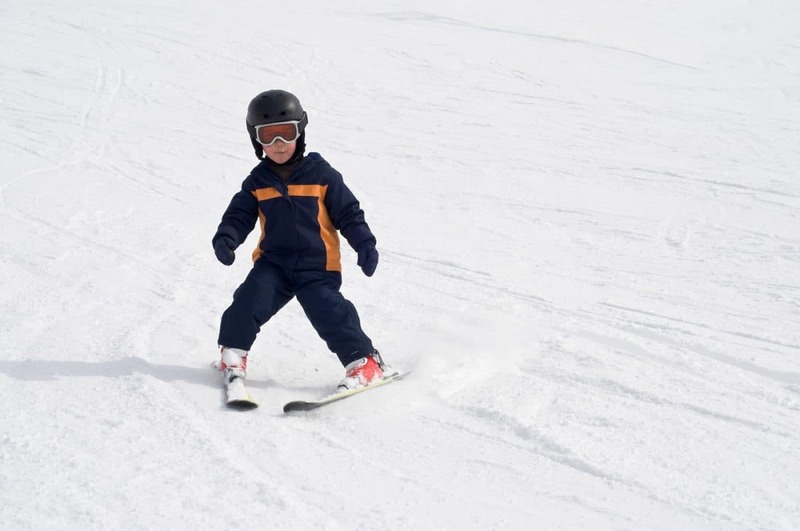 Learn your speed control on some easy nursery slopes first of all. 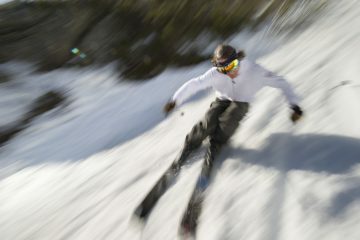 Then move on to attempting to learn your turns and more intermediate skills. In no time at all, you’ll be flying down the slopes with grace and be the envy of all the other newbies! 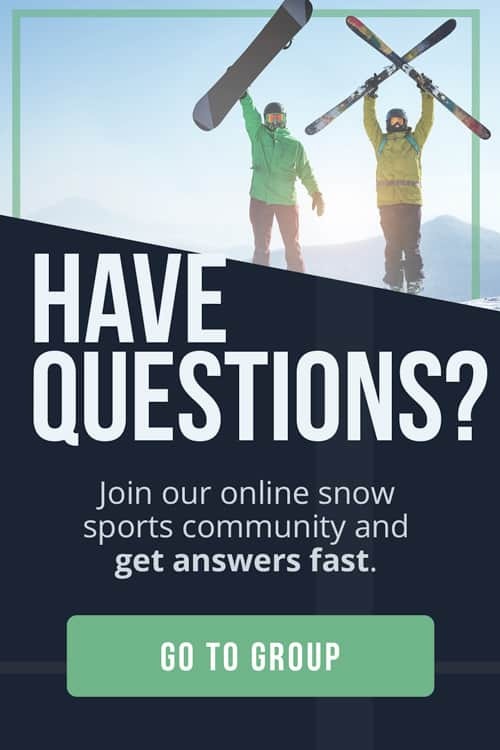 Now that we’ve talked about three techniques of how to stop on your skis, it’s important you understand how to safely fall. Every advanced skier knows to master any winter sport will need consistent patience. This and the ability to get back up each time you fall. The latter is always easier when you are of course still in one piece! The greatest freestyle skiers will fall daily in practice. Despite this, they can repeatedly get straight back up. Whereas many beginners will injure themselves after a mere slide in the snow. They will gain injuries after a gentle fall, regardless of their masses of safety gear. The main trick to falling is to minimize the impact on your body. Landing on a single body part will always be painful, but knowing the correct way to fall will reduce injury. Knowing how to spread out the surface area of an impact can reduce the damage caused by a bad fall. Attached below is a fantastic video by ‘Stomp It Tutorials’. Using martial arts skills, it explains ways of spreading out this surface area of impact. Beth Nicole first discovered a love of the extreme and outdoors in a rock climbing university society. Since then, she has trained in - then instructed; extreme sports worldwide, exploring new landscapes and mountains as she goes. You can currently find her living in the Alps absorbing the snow on her Snowboard and Ski’s!